Professional level bow for advanced players. Revelle recommends the Falcon for the advanced student or the professional player. This elegant, professional-level performance bow is made with a high-density Japanese carbon fiber stick, and provides great responsiveness, and appropriate stiffness and balance. The Falcon has a powerful, broad sound and expresses distinct clarity with every bow stroke. Sophisticated core design allowing endless exploration and bow stroke clarity. 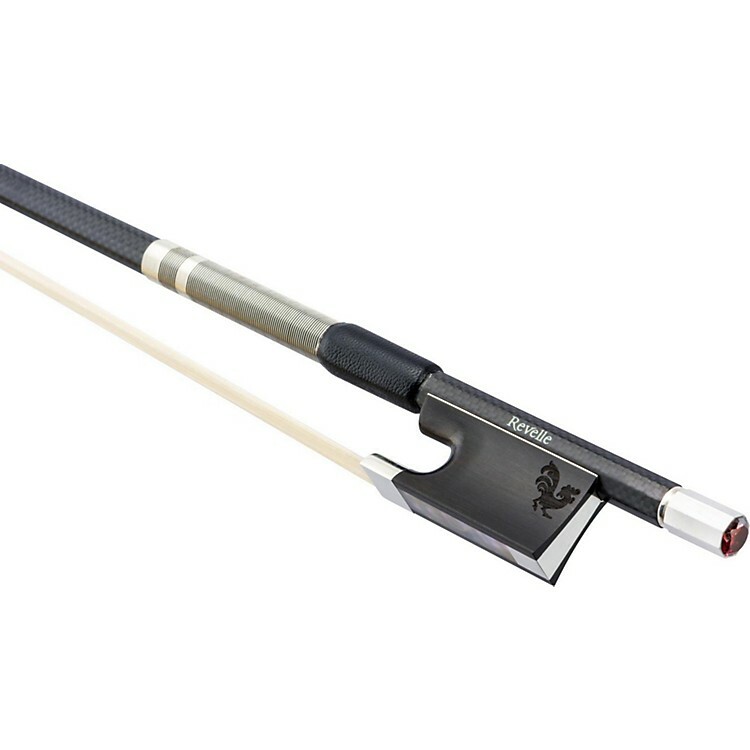 It features a beautiful, clean finish with Revelle’s signature fluid lines, best quality ebony grip, silver frog and faceted ruby red crystal in bow screw. Carbon fiber consistency with great clarity and power.